Police claimed that eight kids were killed on the spot, while the rest were declared dead in the hospital. Commenting on the mishap, Uttar Pradesh's Director General of Police (DGP), Javeed Ahmad, said, "School was open against the order of district administration to close schools due to cold. 15 children died. Priority is to rescue trapped children. Rescue operation is underway. Strict action will be taken against the school." While, Indian Premier Narendra Modi issued a statement of condolence on Twitter saying: "Anguished by tragic accident in UP's Etah. I share the pain of the bereaved families & condole passing away of young children. "I pray that those injured in the accident in Etah recover at the earliest." 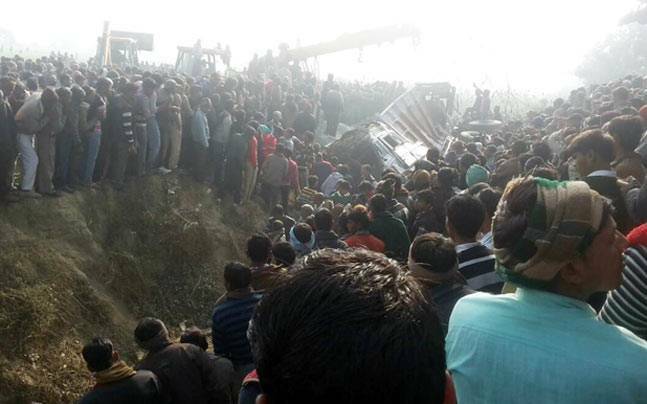 As per local media reports, a rescue team has been dispatched to the accident spot. People living nearby have also accompanied the team, News18 reported.